There wasn’t supposed to be anything particularly unusual about today. It started out as a typically drizzly Edinburgh summer morning, grey clouds hanging low above the castle, with just a hopeful glimpse of blue in the distance offering the prospect of a little respite later in the day. It wasn’t until I arrived at my desk and checked our Slack channels that I first heard the shocking news of the passing over the weekend of Graeme Mathieson. 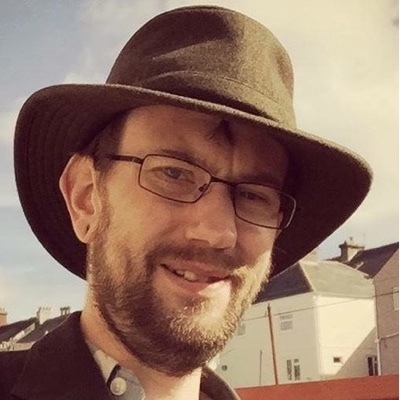 Graeme’s passing is a truly sad and tragic loss that will be felt far from his Plymouth home, reaching across the world of the web development community. Graeme was a legend in the UK Ruby community, especially here in Scotland. When I first started dabbling in Ruby over ten years ago, Graeme’s “Notes from a Messy Desk” blog (found at the intriguing yet ever-perplexing woss.name domain) was a real influence, and when Twitter gained momentum, following @mathie was essential if you wanted to keep up with the cutting edge of Ruby development. Graeme went on to start the Scottish Ruby User Group (ScotRUG) – which still meets every month here in Edinburgh – and, along with Paul Wilson and Allan Francis, he started Scotland on Rails in 2008 which was consistently one of the best Ruby/Rails conferences in the world until it came to an end in 2014 (by then known as the Scottish Ruby Conference). Later that year – having successfully introduced Ed to Roan – Graeme decided to focus his time on his thriving Ruby consultancy, Rubaidh Ltd. This, however, wasn’t the end of the FreeAgent connection. Fast-forward to 2010 and we had just moved into our second office. Graeme joined FreeAgent as employee #4 (and engineer #2) and took up residence in our first tiny, windowless “dev pit”. His impact was immediate, bringing much-needed order to the code and taking on some of the hardest problems, such as VAT de-registration, introducing a customisable chart of accounts, building our stock engine and a overseeing a major upgrade to Ruby 1.9 and Rails 3. In the two years Graeme spent working at FreeAgent, he had overhauled our core accounting engine and even started working towards an accounting qualification. His talent, dedication and enthusiasm for technology was second-to-none. He left a big impression and was already sadly missed at FreeAgent. Even more so now. Our thoughts go out today to Graeme’s family and many friends. His sister, Laura, has set up a fundraising page to support the MIND charity in Graeme’s name. If you’re able, please consider making a small contribution to the great work they do.